Could absentee ballots decide NY-27? NY-27 vote tally. Could absentee ballots play a role? The race for the 27th Congressional District between incumbent Chris Collins (R) and challenger Nate McMurray (D) was expected to be close - and it was. As of Wednesday morning 11/8, unofficial vote tallies from the NYS Board of Elections showed Nate McMurray trailed Rep. Chris Collins by around 3,000 votes, or roughly 1%. 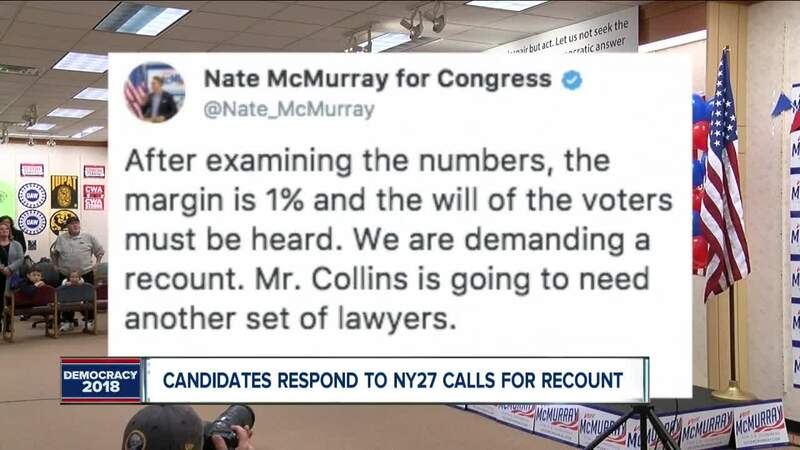 Nate McMurray initially conceded the race to Collins on election night but later changed his mind and called for a recount. At a press conference Wednesday afternoon, McMurray said he never conceded, but just said "we're going to come up a little short." "The recount will happen. We will make sure every vote counts. It will take a few days to get the machines back. The margin is tight. Let’s finish this fight. It’s not over yet." said McMurray through a message on Twitter. McMurray added at the presser Wednesday: "We do not need a recount because we haven't had an official count yet." He said he may call for a recount after the official NYS election results in early December are released. The question now is whether a candidate can concede defeat and then take it back? "The board of elections doesn't listen to the candidates as to what our job is. We have to certify the winner of the election. 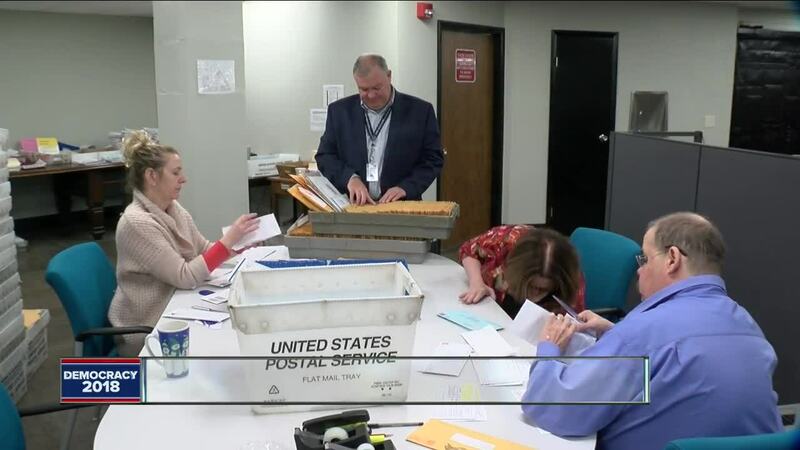 And even if you believe you did not win on election day, if it turns out that you did have the number of votes that was the majority, we will declare you the winner," explained Ralph Mohr, Republican Erie County Elections Commissioner. Since the amount of votes separating the two candidates is close, absentee ballots could play a role in determining a certified winner. It is estimated that there were 9 to 10,000 absentee ballots in the eight counties that are part of NY-27. 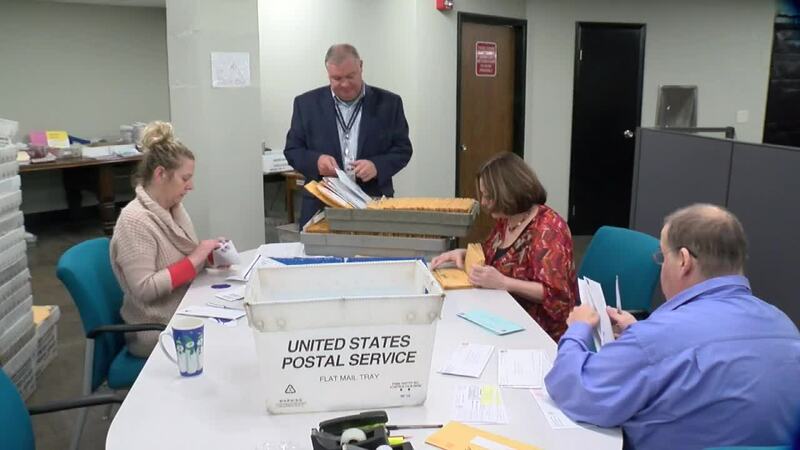 Just under 5,000 absentee ballots are in Erie County, according to Republican Elections Commissioner Ralph Mohr. The process of canvassing all the votes to come up with a final tally will take a few weeks. All eight counties are required to submit final vote numbers to the New York State Board of Elections by the end of the month, with a certified winner to be declared sometime in early December. 7 Eyewitness News has team coverage of this issue which you can watch in the attached clip to hear more from both campaigns.